If one thing is clear, is that the GTA series of video games is something of a cultural phenomenon. The latest entry in the series, GTA V, is one of the best reviewed, and best-selling video games ever made, as a matter of fact it has shifted an astounding 52 million copies so far. 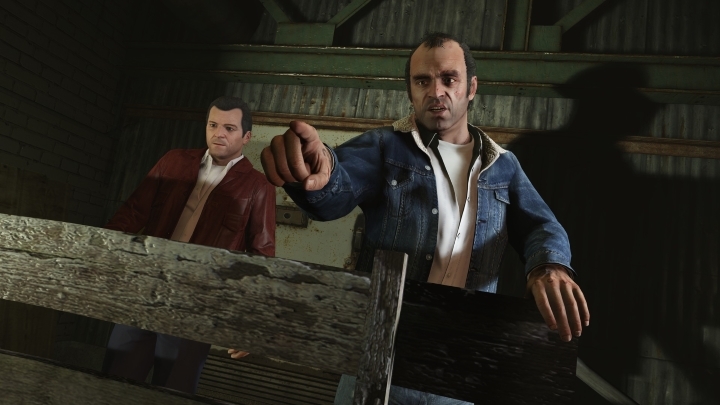 But these games from developer Rockstar Games have certainly been controversial, as they allow players to control characters who are on the wrong side of the law, such as GTA V’s protagonists Michael, Franklin and Trevor. And even though these guys are definitely not role models by anyone’s standards, their journey through the criminal underworld certainly is an exciting and enjoyable one. So given the wild popularity of the GTA series, it makes sense that British channel BBC decided to make a movie based on the games. Their upcoming movie, which is titled “Game Changer”, will be shown on TV in 2016, and features actor Daniel Radcliffe of Harry Potter fame, who plays GTA creator Sam Houser, and Bill Paxton who plays attorney Jack Thompson. And it is clear that former attorney and anti video game violence crusader Jack Thompson is certainly no fan of Rockstar’s games. Back in 2005 Thompson was involved in a lawsuit against Rockstar, which argued that teenager Devin Moore, who was an avid GTA player, was inspired by the Grand Theft Auto games when he murdered two police officers and a radio dispatcher in the US state of Alabama. The BBC’s upcoming movie covers these events, and according to actor Bill Paxton the movie puts Rockstar Games and Thompson on a “collision course”. 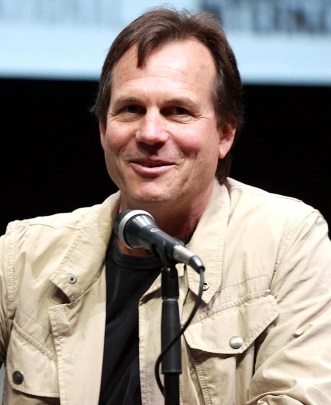 Bill Paxton plays attorney Jack Thompson in the upcoming movie Game Changer. But it seems that Rockstar Games is not happy about the BBC’s movie, and they have taken legal action against it, filing a lawsuit against the BBC for trademark infringement. In a statement Rockstar said that they are protecting their “intellectual property” and that their “goal is to ensure that our trademarks are not misused”. So it seems that Rockstar is riled up because they have no involvement in a film that depicts events that are related to their games. But independent movies about technology and entertainment companies are being made all the time, and their makers don’t end up being sued for it. Take the upcoming move Steve Jobs, which will star Michael Fassbender as Apple’s former CEO. We all know that Steve Jobs was a visionary (and to many a genius), but will Apple take legal action against the makers of this movie if it paints Jobs in a less than rosy light? It is likely they won’t because the moviemakers are just exercising their right to free speech. The Witcher 3 vs Skyrim: Which Is the Better Game?